Over the past few years, local boxers have not had a bigger fan than 9-year-old Western Reserve Elementary student Zion Hensley. Now the tables have turned and it's the local boxers who have taken the time to show support for Hensley as she prepares for her amateur debut that is slated for May 25 at the Metroplex in Liberty. "I first started coming to the gym to watch", said Hensley. "After watching I wanted to train and after I started training I wanted to fight". Now Hensley, who trains under the watchful eye of trainer Vinny O'Neill at Southside Boxing is gearing up for that fight. Hensley spends a good amount of time on in the boxing gym after school but is also gearing up for the softball season, a sport she also loves. "Softball and vacations are my favorite things to do when I'm not boxing," Hensley said. "Shortstop and third base is what I played last year but I also like to draw and take pictures in my spare time". While the local boxers who come in and of the Southside Boxing Club doors including Alejandro Popo Salinas, Willie Nelson, Darnell Boone, along with her trainer Vinny have taken the time to show support to the young girl who has supported them all these years, Hensley knows who her biggest fan is. 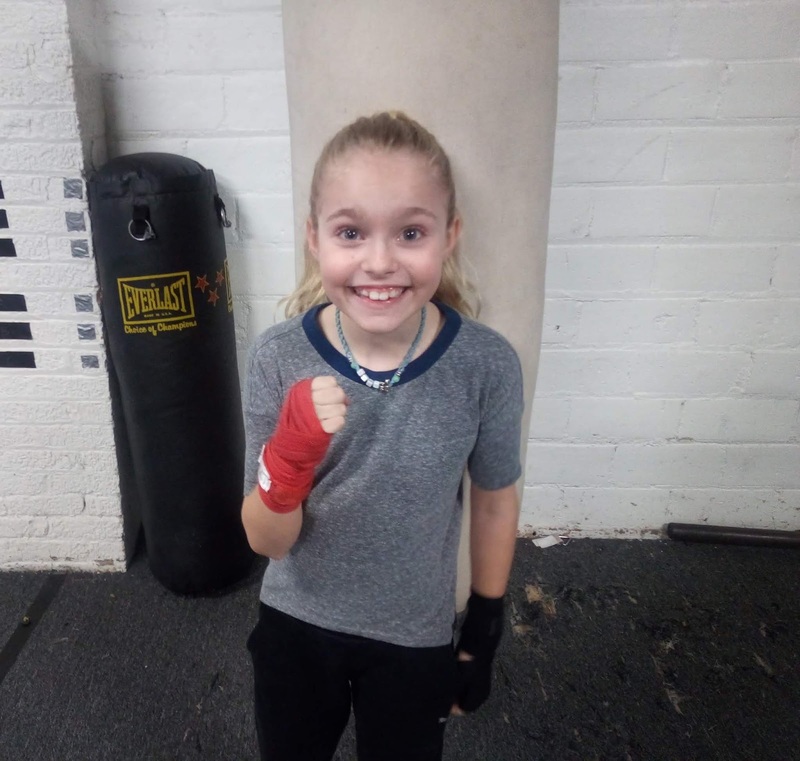 "My dad, it's awesome having him around and cheering and yelling for me," Hensley said of her father who recently took Hensley on a road trip to Atlantic City to root on one of her favorite fighters, Popo Salinas. While Hensley might sometimes feel she is a girl in a man's world, she has found guidance in O'Neill's longtime girlfriend, Jenn Sharp who is also gearing up for her amateur debut on May 25th. "It's awesome having Jenn at the gym training with me," she said. "We are showing girls can do this". With all the guidance Hensley receives at the gym, possibly the most influential comes from the man whose name is painted on the Southside Boxing Club building, Jack Loew. "It's fun when Jack takes the time to work with me and always shows me new things for me to work on". So with fight night nearing, Hensley is in no way having any second thoughts about stepping into the ring. "I'm not scared but I'm a little nervous but also excited since it is my first fight," stated Hensley. Tickets for the event, which start at $25, can be purchased at Southside Boxing Club from 4:30 PM to 7:00 PM Monday thru Friday.